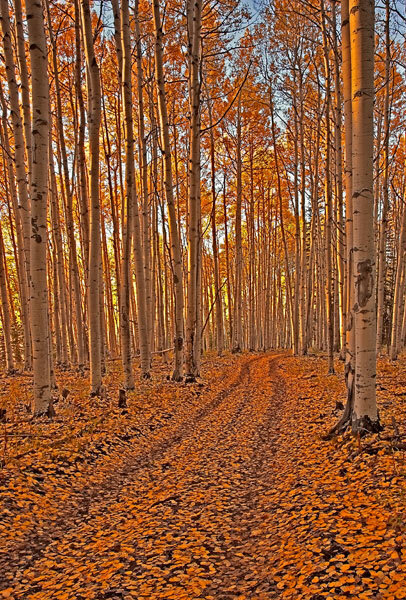 This photo was taken at the peak of fall colors in the San Juan Mountains near Ridgeway Colorado. The soft warm light from the setting sun turned the yellow aspen leaves a beautiful gold. Because this road is in such a high remote location, there is very little traffic to disturb the leaves on the road. Photo © copyright by Mike Barton.